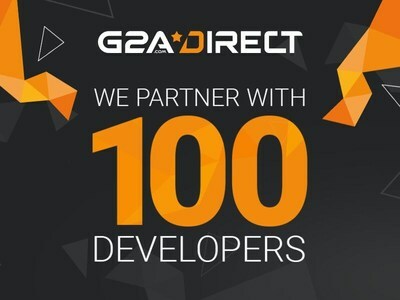 Digital gaming marketplace G2A.COM, together with publisher and developer support program G2A Direct, is now partnered with 100 developers and publishers, including Wargaming, Hi-Rez Studios, Introversion, and Superhot Team. Launched in July 2016, Direct allows developers and publishers to sell directly to G2A's 12 million customers via G2A.COM. Part of this value is Direct's newest product: G2A Deal. Deal, a rewards program created together with developers for G2A's customers, offers hand-selected games, discount codes, and even more rewards for a low subscription price. The first G2A Deal includes CI Games' Lords of the Fallen, Microïds' Syberia 1 and 2, Codemasters' Dirt 3, and Superhot Team's SUPERHOT.